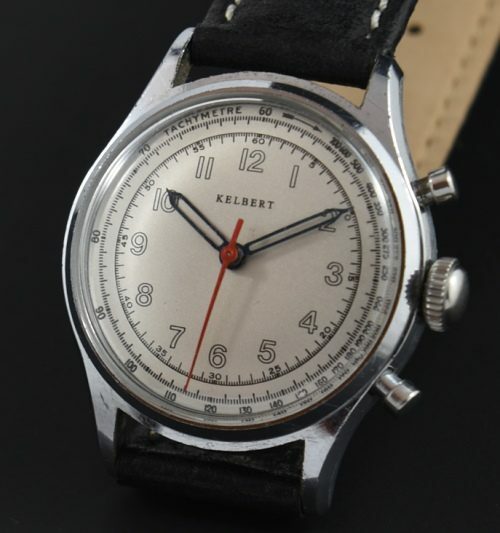 Home / Shop – Vintage Watches For Sale Used & Antique / Uncategorized / Kelbert Flyback Chronograph-Unusual. In over 35 years in the vintage watch game I’ve never seen one of these! This is a small and really interesting vintage 1950’s KELBERT FLYBACK chronograph measuring a small and eye-catching 31mm in a chrome case. The fact this chrono has a flyback feature, makes it pretty damn cool. Add to the fact; this watch is small for a chronograph-making it much more uncommon. The dial was expertly restored while maintaining the original blued steel hands and red chronograph pointer. The unusual flyback chronograph signed movement was expertly cleaned and running perfectly. 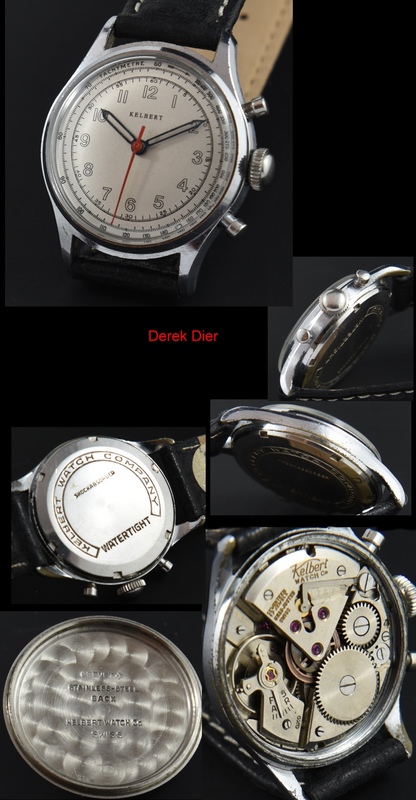 This is the watch for you if you collect interesting and uncommon chronos.